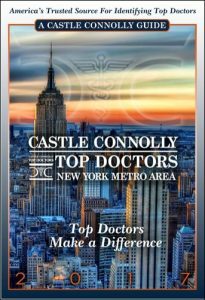 Dr. Mandel has been recognized as a Top Doctor: New York Metro Area, by Castle Connolly, for the 16th consecutive year. Dr. Mandel is the only exclusive laser vision correction surgeon, in the New York Metro area, to have been selected as one of Castle Connolly’s Top Doctors: New York Metro Area, for 16 consecutive years. The Castle Connolly physician-led research team carefully reviews the credentials of every physician being considered for inclusion in Castle Connolly Guides®, magazine articles and website. The review includes, among other factors, scrutiny of medical education, training, board certifications, hospital appointments, administrative posts, professional achievements and malpractice and disciplinary history.